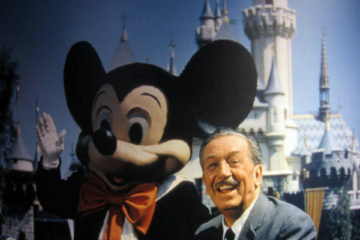 Unlike what you might see at many other theme parks or amusement parks, where many of the rides and attractions are outdoors, quite a bit of what the parks at Walt Disney World have to offer is indoors. I’m glad that is the case. It provides for nicely controlled environments and plenty of welcomed air conditioning. 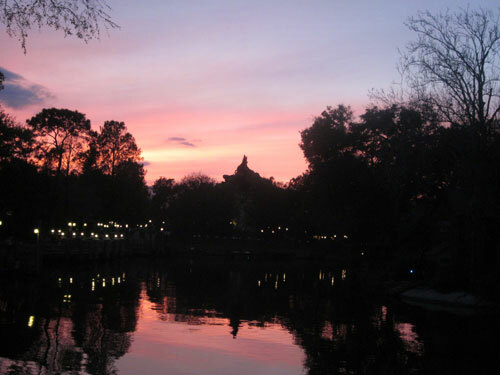 There are a few reasons why you might want to compare the experience of an attraction at night vs. the day time. I’m no optometrist, but I do know that your eyes do an amazing job of adjusting to their surroundings. However, it can take them a bit of time to fully adjust to changes from light to dark. During the daytime when the Florida sun is blazingly bright, your eyes close up to protect themselves. When you move from the bright sun outside to the dark interior of an attraction, your eyes may still be constricted even after you’ve been in the dark for a while. 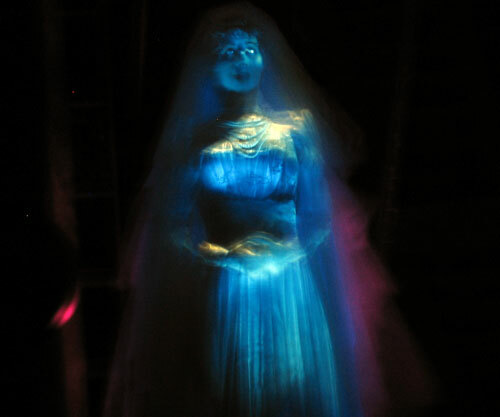 When you visit a “dark ride” after coming in from the bright daylight, you will actually see just a bit less than if your eyes had been naturally dilated by the darkness of the night outside. Also, not all rides are inside, and some rides have portions that are inside and outside. 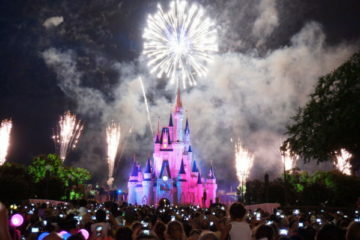 The Magic Kingdom especially transforms into a very different place at nighttime with plenty of lights all around. It can be fun to see the nighttime environment from the unique vantage points some attractions provide. I’m not suggesting that you should ride these attractions only at night, but I do think that these attractions are especially fun to take in a night. Splash Mountain is one of several attractions on this list that has an inside and outside component. Disney does a nice job of illuminating the mountain at night. 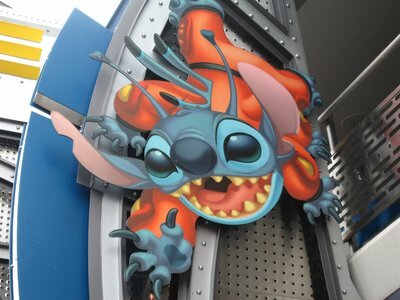 However, the big draw of riding this attraction at night is the view you get of the Magic Kingdom before you plunge down the main drop and into the briar patch. It’s amazing. In addition, your nicely constricted eyes will really take in all the details in the dark scenes after the drop. You can see some amazing views from Splash Mountain at night. 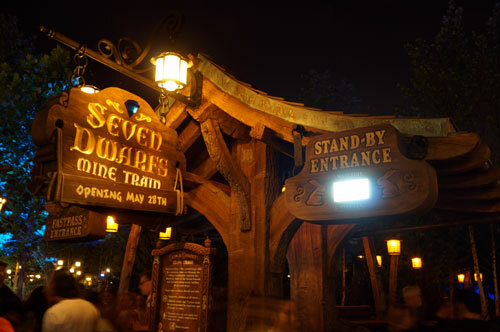 One of the biggest treats of riding the Seven Dwarfs Mine Train Ride is the chance to enter the mine where you can see amazing animatronic versions of the dwarfs hard at work. The mine glows with gems of many colors, but if your eyes are constricted you won’t be able to enjoy this wonderland as much as you can when it is dark outside. In addition, the animated faces and the animated marching dwarfs really pop at nighttime when the light from outside doesn’t intrude into the dark mine. The dwarfs really shine at night. Dumbo is a ride that takes place completely outside, but Disney has added some amazing lighting effects that play with the fountain beneath the ride. 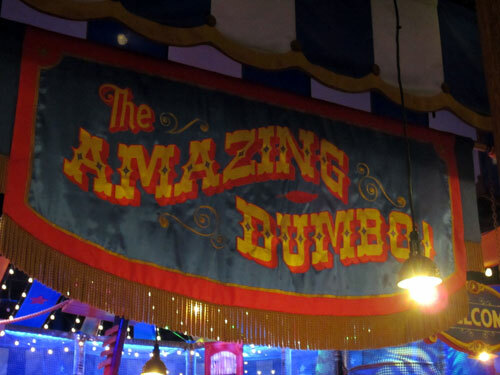 The circus atmosphere of Dumbo is fun during the day, but at night the lights make Dumbo even more beautiful. Dumbo comes alive at night. I admit it. I’m a big fan of the PeopleMover. 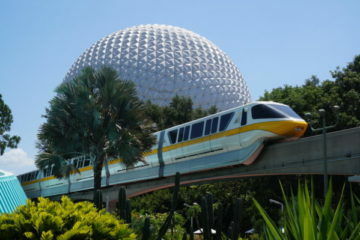 As an attraction, the TTA spends some time inside and some time outside. However, if you ride at night, the Transit Authority will treat you to scenic views of the lights of Tomorrowland. I think that Tomorrowland really takes on a different look and feel at night when all the lights are on. Be sure to check it out. 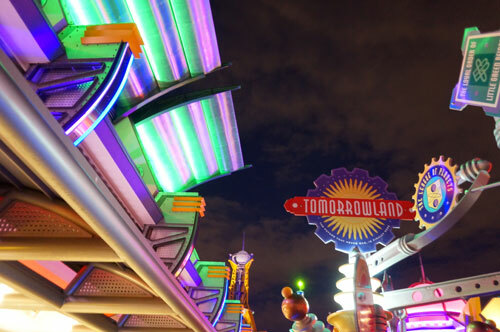 The TTA allows you to see the lights of Tomorrowland in style. This is where you might start to wonder about my list. After all, Space Mountain is completely inside. 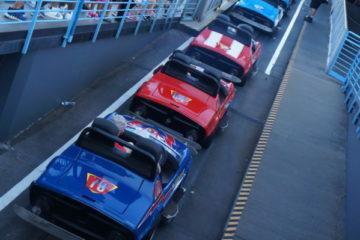 You also have a long queue, which is also inside, that gives your eyes time to adjust before you board your spacecraft. 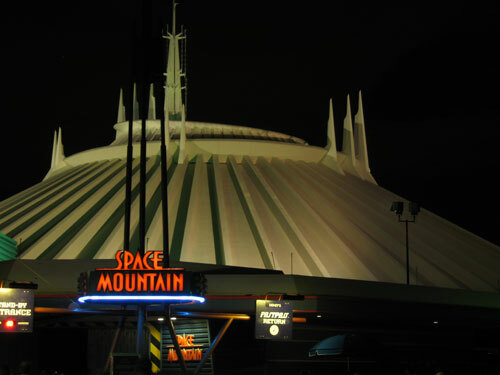 How can Space Mountain be better at night? You will have to trust me – it is. The slight adjustment in your vision when entering the ride from the dark outside makes a huge difference. You will see new levels of detail in the space images projected onto the ceiling. Space Mountain at night is a winner! Plus, you may have a shorter wait if you choose to go standby. You can see more when you ride Space Mountain at night. 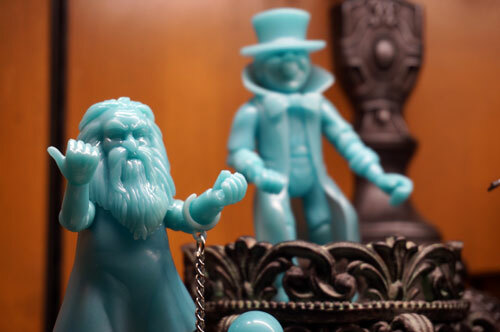 The same argument for Space Mountain Holds for the Haunted Mansion. When you enter the Mansion during the nighttime, your eyes are better adjusted to see all the details which can be hard to see in such a dark attraction. You might just see a few things you never noticed before. Also, things are just a bit spookier at night anyway, right? What is your favorite Magic Kingdom attraction to ride at night?